Upgrade your stock wheels by installing Blue/Black Spartan 14" Blaze golf cart wheels and tires combo. Minimum 4" lift-kit required. Universal Fit. 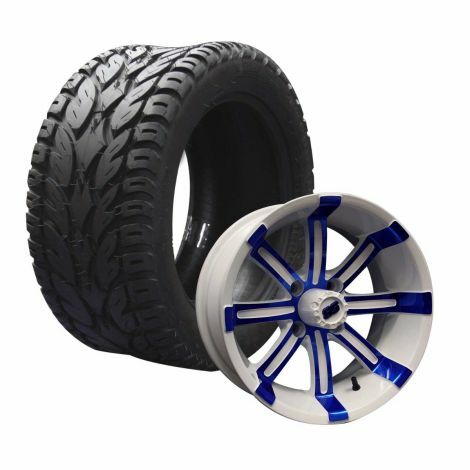 Upgrade your stock wheels by installing Blue/White 14 inch Spartan - 23x10 Blaze golf cart wheel and tire combo.Universal Fit. 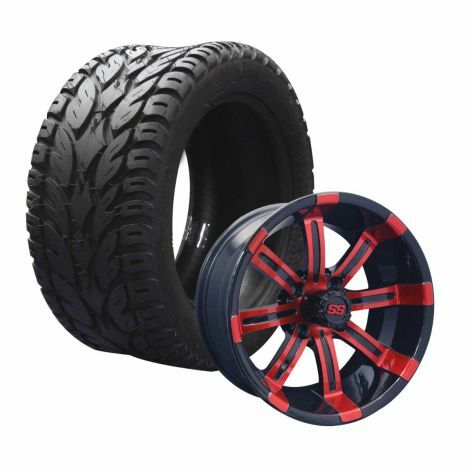 Upgrade your stock wheels by installing Blue/White 14 inch Spartan - 205/40 Blaze golf cart street wheel and tire combo.Universal Fit.